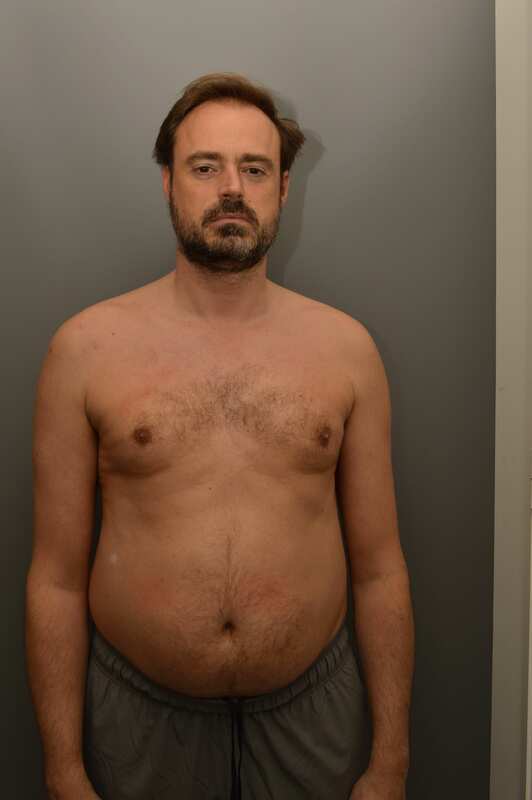 Radio DJ and former Live & Kicking presenter Jamie Theakston has unveiled his incredibly buff new body on the cover of Men's Fitness Magazine, after getting stuck in to a tough six-month training programme. Half a year ago, Heart's Emma Bunton challenged her London Breakfast Show co-host to lose the extra pounds, and boy did he step up to the challenge. Since then, Jamie's been hitting the gym for three hours a week and he's managed to reduce his body fat by half AND reveal a six pack! Through the challenge, Jamie realised that his early morning lifestyle wasn't exactly having a great effect on his waistline, often packing in TWO breakfasts during his time presenting the breakfast show. He said: "I didn't know the difference between protein and carbohydrate. I've never taken much notice. "I'd be in the studio at 5am, then I'd have a breakfast at 6.30 and maybe another one at 8.30, and it was sausage or bacon sandwiches, tonnes of coffee… looking back it's kind of shocking." Jamie reckons he's now in the best shape he's been in more than ten years; explaining: "You see it in the little things, like running upstairs: a year ago, I was carrying an extra three stone up. I feel brighter, my complexion's better, all of those things." Keep up the good work Jamie! The duo were challenged to reduce their body fat by Men's Fitness magazine and Embody Fitness gym. For the full feature with Andy Goldstein and Jamie Theakston on their remarkable transformation, get the November issue of Men's Fitness magazine - out now.